CreekDog is an easy-to-use tool for watershed watchdogs. Report watershed pollutants such as trash, untreated sewage, suspicious drilling activity, or stream or wetland dredge and fill. Locate and report on pollution in the Deckers Creek watershed using CreekDog and we'll help you get the word out to the appropriate agencies in the Monongalia and Preston Counties, WV. With CreekDog you can also see what other people have reported. 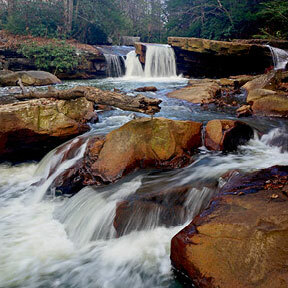 Help protect and preserve the Deckers Creek Watershed by reporting on serious pollution issues. CreekDog was created in partnership with Friends of Deckers Creek and in part of a grant from the Appalachian Stewardship Foundation.